I know Auto-Sleepers are very traditional in the way they build models, even new models always seem to be based on previous models with similar layouts... I think they are missing a trick looking at other options by other manufacturers. Our perfect layout would be a Euro Lounge style front, mid washroom and kitchen area, with twin fixed singles in the rear. In addition to this I’d like a small garage (not high just under bed storage accessible from both sides externally) also some floor storage pockets built in. Many other makers like Pilot do this layout and with these features. 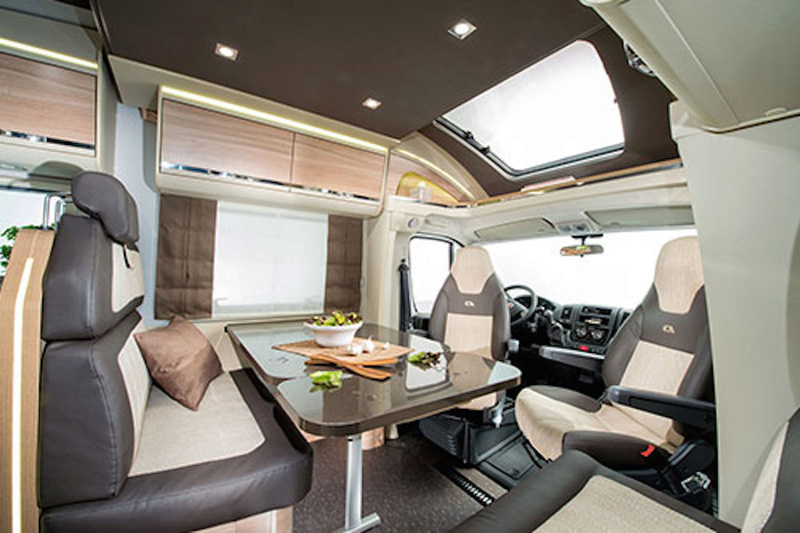 A garage like this fitted to the Bailey Autograph Motorhome is perfect for my needs, see no reason why Auto Sleeper can’t do something like this especially in a rear fixed bed / twin singles model ? i dont have an AS....bit of an interloper....but i take an interest in all manufacturers' products including AS.. Yes, they have a particular way of doing things, which on the one hand is the reason to buy (brand loyalty very strong) but can also be the things that make some take no interest in buying one..
times are changing, more ypunger folk are taking the plunge and looking to get into motorhoming and the type of van they are looking for (seat belts for the kids, decent exterior storage, good sized water tanks, proper winterisation with internal fresh water tanks) will take them towards other brands..
these lower brands are pitched right amongst the the bread and butter Swift and Bailey products. im sure AS has done their market research and their current customer base probably isnt too interested in most of the above. Since belonging to the Trigano group , there are plenty of 'sub-brands' to choose from. Personally I don't like front lounges with half-dinettes. I do like long settees that become single beds whether they be behind cab or in the rear. Most continental vans don't have ovens, my other half wouldn't have a van without an oven. It's all about personal choice and the phrase 'you can't please all the people all of the time' etc comes to mind. Guess what, we only recently changed from a Euro Lounge + Garage + additional dropdown bed to the Burford. Previous was a Pilote P746C. Plus points of AS: flat floor front to rear, sense of space, bathroom to stretch out in, adequate storage (ran out of weight capacity in garage long before physical space), kitchen space. But have to say the downside of the change is that the quality of build is lower than the Pilote. French chic or Cotswold country-style? and after spending a day and a half at the NEC a couple of years ago we decided we wanted mid lounge/bed room with everything up the back. We have run out of storage space but as we are within a couple of litres of red to the maximum weight the Nuevo suits us perfectly. My brother's vans have always been of the style CC aspires too. He and his wife never camp with or socialise with anyone else and they are very outdoors, walking or cycling even in the UK in the winter so they spend very little time in the van. When we were more or less confined to the van by heavy rain in the Lake District last November, I was very glad we had the space to spread out and a fully functioning kitchen. I use the space under our bed as 'garage type space. The lafuma recliners, BBQ, Silver Screens, toilet maintenance stuff, tools, extra cables etc are all under there and accessible from the outside. As Paul says, you cant please all of the people all of the time and when you have full order book and are limited in the number of vans you can build by factory space, why experiment with a completely new layout? 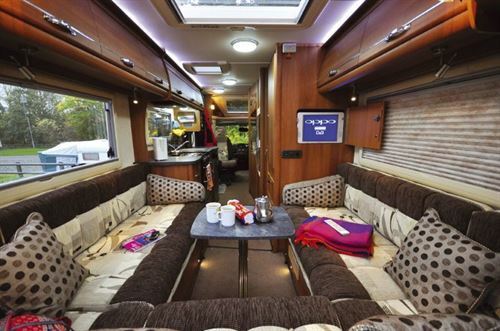 There are a plethora of front lounge/dinette vans and they don’t suit all. We prefer the end kitchen, two large bench seats that make two comfortable single beds. Admittedly a garage would be nice, but to achieve the front lounge/good size kitchen/two single beds and bathroom and garage our parking space, and probably our budget would be exceeded. 'feet up lounging' doesnt necessarily mean having to have two long sofas..
we, too, have bikes and cycle in most weather. i didnt buy a MH to sit inside it watching it pour with rain. I think Trigano will have an input into design of AS in future. I cannot see them allowing AS to continue with some of the presant designs without showing their influance and innovation. Bad Penny wrote: I think Trigano will have an input into design of AS in future. I cannot see them allowing AS to continue with some of the presant designs without showing their influance and innovation. There has been a high percentage Trigano representation on the AS Board since 2013 and they have had full control for 12 months, I think if they were going to change anything they would have started the day the took control as happened every time I was 'bought'. Don't forget AS had A classes back in the days of Italian ownership, the Mirage and the Luxor, neither of which sold in huge numbers. Paulmold wrote: Don't forget AS had A classes back in the days of Italian ownership, the Mirage and the Luxor, neither of which sold in huge numbers. We each have different views, I liked the open plan airiness of the Exec lounge benches, she wanted a fixed bed and bigger bathroom. We managed to find a van which addresses all these preferences, with a rear offside bathroom similar to the Exec (but much bigger with a separate shower), fixed bed rear nearside, wrap round semi dinette (2 belts) with a long seat for reclining and an opposing bench seat, with captain's seats that can use the main dining table. Full height fridge freezer ( ). Paulmold wrote: Since belonging to the Trigano group , there are plenty of 'sub-brands' to choose from. I totally agree with you on all the points you mention, that's why I consider the Sussex and now the Warwick duo's have IMHO have the best layouts. But must say a garage would be nice, but then the extra weight and size would present a problem and we would only fill it with junk that we could live without. Peter. Changes do not happen over night. These take time to plan and put into place. But it will happen, it's the law of the jungle I'm afraid. After starting with an AS years ago we're now on our second European van with approximately 500kg payload on 3.5t chassis. I didn't like moving all our kit in and out through the hab door and storing it in the bathroom or making the beds every night and packing it away in the morning. We can now lounge on fixed single beds anytime, sit at a table anytime, get into the bathroom while traveling and stash everything including bikes in the garage. I acknowledge, with respect, that AS has a loyal following but they don't make a layout that suits us. Each to their own. Bad Penny wrote: Peter. Changes do not happen over night. These take time to plan and put into place. But it will happen, it's the law of the jungle I'm afraid. I do agree that change is always inevitable, but in this case the Chairman of Trigano was one of three people on the AS board for over three years before he took a controlling interest and the people doing the planning now are the same as they were before the change. RML wrote: Each to their own. many uk MH buyers come from a caravanning background and are used to seeing the 'van' part with a particular style of layout..
eg, small fridges are retained to increase worktop, whereas the continentals store far more fresh produce and love tall fridge/freezers...at the expense of worktop..
Baliley build their MH to look like their caravans to ensure smooth transition for their customers if/when they decide to change. 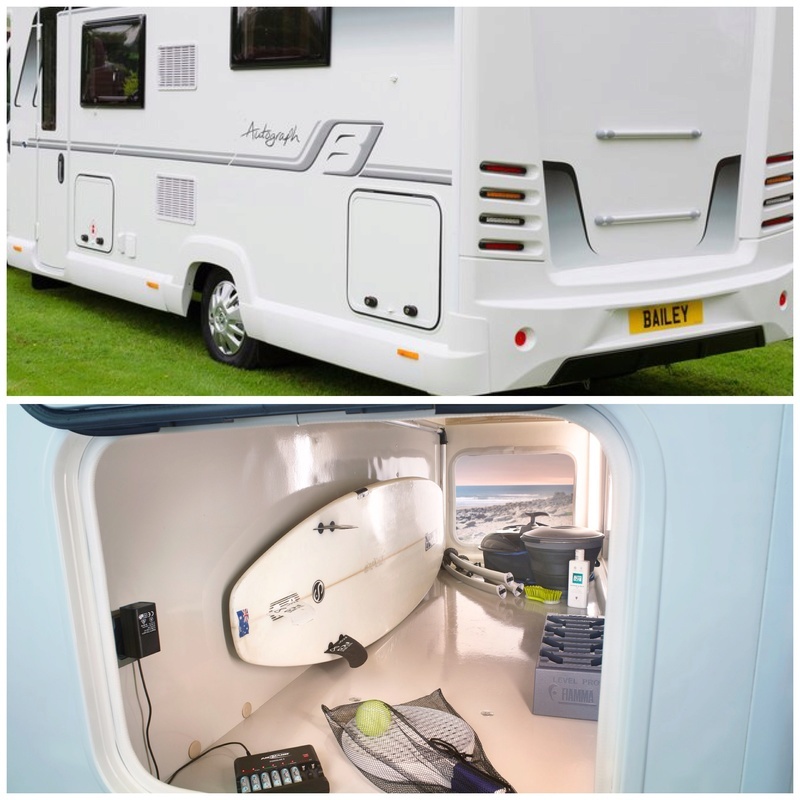 rear lounge layout MH are now being produced (by Hymer and Farankia) with space for a bike sized garage underneath...some truly innovative thinking there to create this 'impossible' combination. but thats fine, its what their customers want and its their core business. the upshot is, if you want something a bit different youll have to look around the market lace a bit more...but thats what choice is all about. If it ain't broke, don't mend it! And as Peter says, they can't produce them fast enough, so they must be doing something right for an awful lot of people! Have recently purchased the AS Corinium fb...I’m as pleased as punch with it. Auto-Sleepers not being able to produce models quick enough doesn’t mean they are so popular & in demand that they are selling in massive numbers... Anyone who’s been to their Willersey factory will know the turnover is not huge, they are limited in production numbers by a factory scattered over numerous units rather than a state of the art drive in and drive out setup & compared to other manufacturers Auto-Sleeper are a tiny outfit in comparison, so let’s not pretend otherwise. There’s even been talk of them moving production to Auto Trails factory in Grimsby. We are currently very happy with the End Lounge layout that the Broadway offers, as far as “Lounging” goes (as others have mentioned) I think you’d have to try pretty hard to get the equivalent lounging experience in a similar sized van... yet the end Lounge AS models oddly don’t seem that popular considering the emphasis put on lounging? it’s not all about lounging with your feet up though, for us we spend most of our time either at the table eating, or drinking refreshments in between traveling & sightseeing. We don’t go somewhere and stay static for several days, we are usually moving daily. So the actual lounging that others favour is not so important to us hence we like the fixed single bed layout, and the Euro Lounge which really isn’t that cramped as people are suggesting. Most people we see with the bench seating / beds like most Auto-Sleepers have, the owners very often sit in the cab seats anyway so I don’t see how that’s any different to the Euro Lounge setup. I don’t think it’s too much to want an external storage option that’s usable and fit for the purpose. Many other manufacturers are producing models with double floors allowing handy sized floor storage pockets, they are also warmer and allow for piping and ducting etc to go under the floor freeing up space, look under an Auto-Sleeper bench and you’ll know what I’m talking about, our offside bench loses at least 30% of the storage due to battery box, ducting, wheel arch, frost valve, piping etc, with a similar scenario on the near side due to the gas locker & wheel arch occupying a similar percentage. If I had an external garage like fitted to the Bailey Autograph for example then this wouldn’t be an issue, but sadly I don’t! Anyway... Ive enjoyed reading others comments & views on the subject. My criteria was a bigger washroom, side dinette more room than having table in the gangway, more useful as not in the way.at the moment seems ideal layout, have yet to try it out long term. seems more homely than the end lounges. which I did consider. Also the build quality went a long way in this decision, has wood not paper wood. less technical than newer vans, which I also didn`t want. Everyone has the van for their lifestyle. choice is out there what ever you want. after looking at other makes, still think AS are better than the rest especially the British builders. jmho.